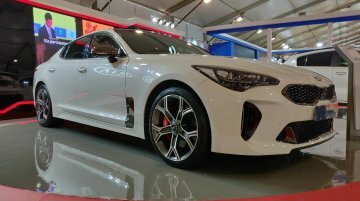 The Kia Stinger GT has been put on display at the Autocar Performance Show 2018 in Mumbai. 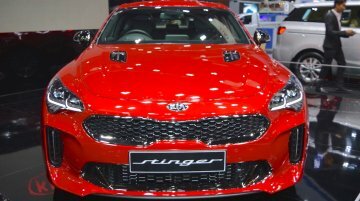 The flagship model in the South Korean carmaker's arsenal made its public debut at the NAIAS 2017 and was sho..
Kia launched the Kia Stinger in Thailand at the 2017 Thai Motor Expo that opened on 29 November, 2017. Here are images of the car from the event. 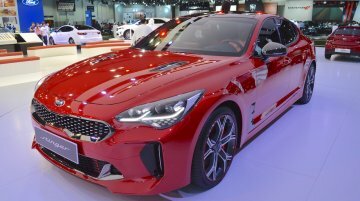 The Kia Stinger is the production version of..
Kia Motors launched the Kia Stinger in the UAE at the 2017 Dubai Motor Show last week. The latest flagship Kia debuted at NAIAS 2017 in January. 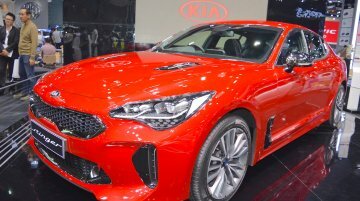 The Kia Stinger is the production version of..
Kia Motors will launch the Stonic in September and Stinger in October in Europe, the company has revealed to Korea Joongang Daily. Kia expects the proposed launches to help offset the decline in net.. Priced between 35 million Won (INR 19.98 lakh) and 49 million Won (INR 27.97 lakh). 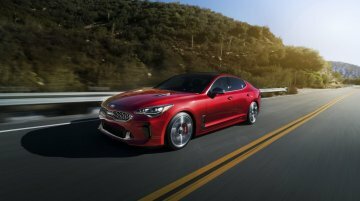 Kia Motors announced yesterday that it had started taking pre-orders for the Kia Stinger in South Korea. Along..
Will likely commence sales in 2019. Kia Motors will participate at Auto Expo 2018 that will take place from February 9, 2018, through February 14, 2018. According to a report from The Economic..
Will go on sale across Europe in Q4 2017. 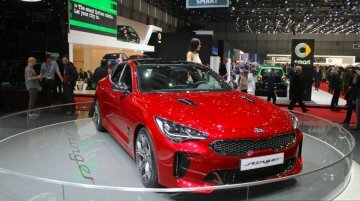 The Kia Stinger has made its European debut at the 2017 Geneva Motor Show. Billed as the highest-performance production Kia to the date, the Kia Stinger.. Planned to be launched later this year in the U.S. market. 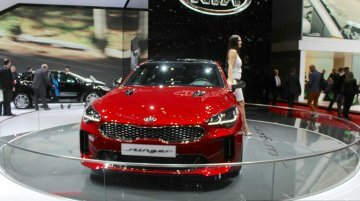 Kia's show-stopper at the 2017 North American International Auto Show is its Kia Stinger, an all-new 5-seat fastback sports sedan that..